Creating online video is not as difficult as it sounds and if you are "green" to creating videos, this walk-through is going to give you some perspective. I am going to be walking you through what a screencast is, the software that is available out there (online and install based), and I am even going to be giving you a look at the software that I use (Screenflow) and how I create screencast videos like this one. If you have any questions about Screencasts or want to discuss any of the "options" discussed within this video, please leave them below. I never have to leave my PC when creating videos! :) The tool can now use motion backgrounds in videos and features a text-to-speech module which does a more than passable voiceover (if you want one). I also like that it can watermark my videos with a logo and web address. Amazing I feel a little more confident in making my videos. Can I do this with powerpoint? Can I make screen cast videos with power point presentation and what software will be more suited for this if I can. I would prefer free to get started. Also can I do this with YouTube? Sure, you can do that! Camtasia has a feature to insert the PowerPoint into the software and to make videos out of it! Thank you so much Igor for your help i really appreciate it. Here's another software that I've found that suits my "budget", for the paid version. They offer free version for it as well. Wow, great video! I didn't know how many video software programs there was. I'm happy to see that pricing is still within reach for most people. With this many choices, which software is the easiest to use and that has capability to edit really professional-looking, quality video's? What do you recommend? Great question! I only recognized one on Kyle's list - Camtasia. It is used by professional educators to create their online captured videos for their students. I do not know about the rest. I would recommend that you do a research of the people who replied to your question of which Software is recommended .. Ali uses quick time plus its Free Hanley uses Noble Samurai easy to use and Haroda uses Camtasia as it is used by professional Educators Contact all who replied with Information after your Own research to confirm your choice. Thanks for sharing this video, starting to make some videos for my website is already on the top of my to do list. Bookmarked, I'm sure I'll come back to watch it again. Hi Kyle, thank you for this information and tutorial. I've been trying to learn this concept of video recording but I haven't been good at it. I wonder if you record audio separately then merge it with the video or how exactly do you do it? Do you need to make a script? Is it possible that you do it live as Jay does during the webinars? What I do is record the video first-then make a script and then record the audio. Hope this helps. I record my screen and talk all at same time. I use quick time. There are many youtube videos on how to do this. I'm a little intimidated with making videos. But this is why I am at WA, to get out of my comfort zone and produce! Literally, videos! I am trying this tools on an hp lap top but I don't have a microphone. Is there any tool which allows you to record your screen while using the microphone of the lap top? Screencast-o-Matic is used by many WA members. This allows you to record what you do on your screen while recording your voice using your laptop's microphone. Thanks Kyle - that makes it quite simple, but very effective. Great lesson on video creation! Can't wait to start! This has really been a difficult task. "Recording Video's." I must do this, it's a challenge, I mean a serious one. I'm very excited that you over came this obstacle. Thanks Kyle, I am going to jump into this, Something new and interesting. Take care. Thank you! I’m going to check out Screenflow. Apple Mini IPad which one would be a better choice? I too use an iPad Mini and it is great for many things. It is my preferred tablet because the size is perfect to slip into my day bag and big enough to use comfortably. What tablet is best is a personal choice. I would not try to develop a website using a tablet. and is there another video that can make me understand how to make the video? I use zoom.us to record video presentations. I use Power Point to develop the presentation out line. Then I share my screen as I talk about the key points in my presentation. Jay probably uses another webinar service but the process is pretty much the same. This one was abit confusing? Is it just recording? Type "video Presentation" in the search bar at the top of the page and you will find plenty of training. How do I edit to have a finished product? Video editing is a subject in itself. I have used Final Cut Pro, iMovie which comes free with Apple products, Adobe Premier and have settled on using Camtasia. You are not going to be able to do much video editing on a tablet, but their are apps available that will let you at titles and even lower thirds. I use a Tablet.. Apple Mini IPad which one would be a better choice? and is there another video that can make me understand how to make the video? This one was abit confusing? Is it just recording? How do I edit to have a finished product? Thank you, you are amazing and maybe I know him but can't remember his name. Thank you so much. Thank you Chez, I am going to check this training out by Scott. By the way, have you heard from Teddy? I missed him for a while now, and, I hope he is doing well! I don't mind sending a feel better note or something. Great tips thank you, Kyle. I'm a Mac girl and I've been using QuickTime Player to record and Camtasia to edit and have found this so easy to do. Quicktime is awesome because I can also record my iPhone. This was extremely helpful! I am looking into which software to use so I can record screencast videos for my sites. Thanks for sharing. I use PowerDirector CyberLink. It comes with a screencast feature. It costs about a hundred bucks too. It's for PC if anyone is looking for more options for PC. Thanks Kyle for the video tutorial. With your advice I've subscribed to Screencast-o-matic but wondering how to put the recorded vid to my post or page. hey everyone, I used to record video games and upload them to youtube through an Elgato capture card. would I be able to record videos with it even though it's meant for capturing gameplay from a console? One way to find out is to try. If that doesn't work, there is also Monosnap. Make a Killer Video With Monosnap Tim is no longer with us, but his tutorial is a perfect introduction. Got a few videos my desk made to upload to youtube. Will the videos, if unlisted on youtube, still rank in Google for keywords, if I used closed captions on my vids? I am not 100% sure on this, but I would think that google would recognize the videos by your keywords. It depends how and where you use the captions. If you are loading video on your website and giving captions and tags there for your video, sure that will also rank. But, since YouTube is owned by Google, so you will get quick ranking for your video if you use YouTube platform. But if your video is taken out from YouTube, then that means that is completely gone and will not have ranking anywhere. Good to know these screen recording tools and thanks for the sharing. I'd also recommend Acethinker Online Screen Recorder which I have been using for many years. It is a free online tool that lets you record your screen right from the browser. Thanks Matthew, going to copy that link and store it somewhere safe. I only hope I remember where I put it lol. Are there any alternatives i could use on an Android tablet? All things are possible, l believe l can definitely do this. Great tutorial Kyle!!. I've just checked out Screencast-o-matic. It looks great. Now to create the video!! So, I have chosen the Screencast-o-matic, and think that I might go pro, it's super cheap so why not. I have a YouTube channel, and have created a few videos, but they are videos that I have gotten through the cc option, where others allow you to use their videos as your own. So, what that means is...I am going to be making my very own video for the first time today! I am a little nervous...I lied...I'm a LOT nervous! To top it off, I have a dentist apt to get ready for in 2 hours, so I get to go live through that joy, and come and make my very first video. I know it will lead to some AMAZING things. The ones I created have WAY more views on my social media posts than those where I did not share a video, so I am 100% confident this is going to lead to more traffic! Good luck Miranda, I keep putting my one off and off as I hate the sound of my voice on video lol. You will do fine. It takes a bit of getting used to. I use it myself. I can talk a bit better, so I'm going to give it a go this morning. Thanks for the resources. Will look into each one. I tried and made my first video using screencast-o-matic and it worked really well and was free too. The video has brought more hits to my website immediately. There is no sound on the video? Thank you Kyle for this useful video! I had a look at all websites you mentioned and found that Screenflow is the best one! You can't get this kind of walk through learning and tutorials anywhere better than WA. I have been looking forward to this lesson for a long time. Awesome! Hi I am using a galaxy tablet not a pc am I still able to create videos please? 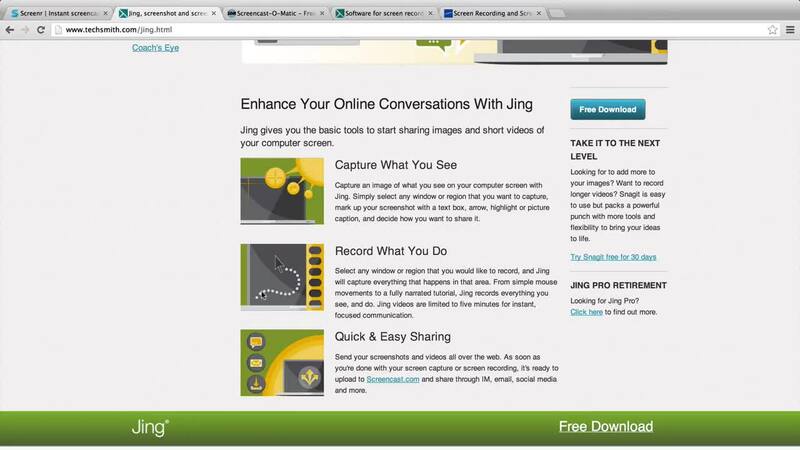 Yeah, I like screencast-o-matic for recording videos and also I link jing for screenshots, they word great. After Google chrome updates, software like screener.com would not work anymore. If you haven't yet, try Screencast-O-Matic. It is super simple to use! Hey everyone. Do these screen recording products use the mac/PC internal mic or do I need an external mic? Thanks, Kyle, this is great info. Oh, man. I was never the selfie type, let alone a Vlogger... lol. Challenges. Challenges everywhere. Gotta love 'em. It is the only way I know I am on the right track. Thank you, I having reached this level yet, but willingly to start soon. Thanks Kyle, I will give a few of them a try until one fits best. Thank you Kyle for this. I use screen-o-matic. Hello Brook, I am new to all video. Is screenomatic easy to use? Is the audio automatic when making the video? How to upload to site? Do we need a plugin? Any other tidbits that would help. Thank you Mary, the audio is automatic, but you have option to chose which audio device to use in case you are using an external speaker. After the video, with the premium you can edit it but the free version you have limited editing options. Then embed the vide on your website. Thank you ! Thank You! Brook! I will get the paid version. I cant believe how inexpensive it is. Also, editing will be very important. SO, once it is on my computer, how do I get it on my site? Do we need a plugin? Or does it just upload like a photo? Also, what is "ping" me? Thanks again! I cant tell you how much this helps. I tried cam studio, and that was a bust! No you don't need it on your site just create the video, on your system then host on YouTube or vimeo. Copy the video link to your site where you want the video to appear. That is a question, I would not have known to ask. I am really moved, at how much you have helped me today. Video, podcasting and screen casting, has been a "rabbit hole" for me! If you do any trainings, let me know. I am now following you! Thank you Mary, planning on doing a training on backup and site restore. Because of this thread I have complied a series of screencapture softwares. Awesome! Sometimes we just need to know that people want, what we have to offer! To me, that is a huge step (that I am in the middle of). I am looking for special video lesson more detail, where i can find ? Screencasts - A step by step course on how to use ScreenFlow to make online movies. Hi everyone. I downloaded the Screencast- o -Matic. But when I want to record my screen, not fully capture it. In the preferences settings, I selected the full screen, but it seems not working. Because it looks as if the screen resolution becomes lower so the record only could take a corner of the screen. I look again into the program settings, but does not appear the ones to solve it. It may be because your'e using the free version, but this question is best directed at the screencast o matic support team, who may have a better answer. Yes, you are right, that´s what i´m going to do. Thanx! Drag the screen from the coners to the size you want. I am sure this questions have been answered but for someone else with same issues. No, it is the screen magnifier tool in my Windows 7. I had to adjust it and now it works well :) i attached a screenshot of the ticket response, thank you! Boy, now the training is getting more interesting. I am on the part to making my first video. Exciting and a little nervous at the same time. I got a PC. thinking of using Screencast. I see a lot of folks recommend this one. No probs.As soon as I figure it out,will let you know. Great information. Once I'm ready to try video it will help me get started. I have a mac too, and I'm quite sure the mic will be adequate. iMovie is really good for making videos, and toy could also use the free Screencast-O-Matic. I've never created a Video, do I need an external mic connected to my PC? You're getting answers posted over at your other question: Do I need an external mic connected to my pc? I needed one because the sound captured by the laptop's mic was not good enough. You have to do a test, and you will hear if you need one. Snagit is a must have program so far as I am concerned. I can not only grab screenshots of info-graphics and anything else I want but I can edit and add drawings etc. It is made by the same folks who make Camtasia which is a great program to create training videos. Snagit and Camtasia work together great. thanks Bill,, Snagit is fine by itself though correct? You use a voice recorder to catch your voice and the program is designed to capture video of the screen activity. Surprisingly, this video does not explain much. How do I actually record my video? Its the same for me in terms of how to actually do it. That is why I said the video does not explain much. I was expecting to see more instructional dateails. I guess its about trying it out and learn in the process. Hi guys ... Suggest to jump in, give it a try and then ask questions. Haven't done so yet ... Going to do this over this weekend. But seems to be simple. Download a free one to start, click start recording and then stop recording after u are done. I have been trying to record a video using Screencast-O-Matic and Jing without success. For some reason, I can't record the voice. How could I make them record it? I have tried to use my laptop's mic and the external mic with Scarlett Focusrite 2i4 soundcard. But those programs just don't record the voice? Microphones are working 100% well with the other programs and I have checked that all the settings should be okay. I have been searching for an answer from the Internet over 2 hours without finding the answer. I would be ultimately happy if I could start making videos with the voice. Do you have some tips how to get the programs work? They just haven't heard my microphones. I'm not sure how to fix that but you could try a different browse. Yes, I can't guarantee you that will work, but it don't hurt to try. Hi, i downloaded the screencast o matic to my PC and the voice records very well. Instead of using in the browser, go to the screencast o matic website and download the app to your computer. Did you make sure your speaker is on, or that your sound is turned up? Awesome! I just completed my FIRST "How-To ScreenFlow Video"...Yippie! How did I do? Is it ok, or should I redo it and try for better quality? makes room for subvideos same topic! Yeah, I thought it was a little long too, so maybe I'll redo it soon. I appreciate your feedback my friend! I tried it and it was fun. But for some reason, my voice sounded obscure and strange... Probably the problem is in the microphone.. Have you had similar problems and how you have fixed it? I have that problem, I don't know how to fix it. I might try my tablet for the next vid I make. Screencast-O-Matic looks brilliant. The scripting facilities allow professional videos to be created from your screen in sections so you can avoid the mumbling and umming and erring. That might help, especially if you can't remember what you're doing in the middle of the video. Thanks for this, Kyle. Yes I agree. It is great. As you might already know, Screenr’s recording capability was based on Java RE (Runtime Environment), which rapidly became antiquated. For example, Google Chrome doesn’t support Java RE anymore. So Screenr couldn’t run there. And on other browsers, Java support is also limited, causing constant problems for users. Because we at Screenr pride ourselves on providing a superior customer experience, these issues were simply unacceptable. And there was no way around them. If you’d like to download your videos, please visit our download page at your earliest convenience. Simply search for your username and select the videos you wish to download. Please note, all of your embedded videos and links to your videos continue to work. We hope you’ve enjoyed our services as much as we’ve enjoyed providing them to you. thanks for sharing you saved me some time and possible frustration. Which software are you using Anthony? I've had Camtasia 8 for a few years now. I tried to use it but I'm really self conscious about how my voice sounds. maybe i'll give it a try again. the link to the video by Welshy you mention in course 4 lesson 9 is not there any more. Has anyone else noticed that it sounds like Kyle hits his keys with a hammer or is that just how a Mac sounds. This sounds great. I will use Jing for now as it is going to take awhile for me to learn how to do this and then a little longer to untie the knot in my tongue. lol. Does this also work for taking screenshots or just videos? If you haven't discovered this already, Jing works for screenshots, too. And very well I might add. It's all I use anymore and I used Ctrl-Printscreen with Paint for years before throwing in the towel for Jing! Cool. Thanks a lot. I haven't purchased one yet so I appreciate your answer. Hi Kyle where to find the jing software to install. I have sign up the Tech Smith account but I cant find the jing software to install my notebook. I am using window 7 starter. Hi Jude, thank you for the link will try to download. If work will update you. Wish you all the best. Cheers. Thanks Kyle, I feel really out of my depth at this stage but I get the value of creating vidoes so I'll make it my mission to crack it. After reviewing this again, I am going to try with everything I have (no techie talent), and try to understand the next few lessons. Maybe I can do a simple screencast, and post it on YouTube. A for effort ??? What a great lesson. I'm due for a new Laptop and will wait to incorporate videos. I will review Lesson 9 as soon as I'm up and running anew. Meanwhile -- I have started my Art website, my 2nd WA website, and I'd love to get some feedback if anyone has a few minutes to spare here: http://NewRealismArt.com BTW... videos will greatly enhance this art website I believe. Thanks in advance guys and gals. I love watching You tube videos! Hope to create one of my own soon! This will be very beneficial to building our business. Not a video person, rather read with images. How do I learn to make videos on a PC I need directions? Videos are a great way to difference yourself from other marketers! A very much welcomed additional tool to boost the promotional marketing of a product. This is great! I have a Google chrome book. Is there a screencast system that is compatible with Google chrome. Well. I bought Screenflow and it is a great tool. BUT. If you want to get in contact with the company you have to pay for the support for a year??? I also tried to upload my videos to Youtube but Youtube wouldnt accept the type of files you create with Screenflow. The files are called SCC. I dont get it. There is a build in feature for uploading dirrectly to youtube but youtube wont accept it. Strange. The first time I tried to upload a video to youtube - screenflow asked me what channel or account to put it. Since that first time it never asked me again and i cant find the settings for that. So now i can only upload to that specific account without ever having the chance to put videos to other of my channels. Im not happy! Hey Morton! I use the Mac equivalent of Screenflow called Camtasia to do all my screen captures. As far as I know they are from the same company? I might be wrong though and have my information crossed... Never the less. Is the not an option to change the default rendering format in the setting to .mp4? Personally when I capture my screen and create a video I export the video as a .mp4 to my hard drive and then upload it to YouTube. I prefer the control and plus if YouTube decide to remove my video I still have a hard copy backed up. I have no experience with Screenflow though so it could be very different. There should however be an option to export your video as a .mp4 to your hard drive. That is a standard feature these days. looks like I am mistaken... Different company, different software and is for MAC as well... Should still be an option to export as .mp4 in there somewhere. Thanks for responding. It is possible to save the video to my harddrive but still the file is in a SCC format which Youtube dont accept. I have checked the tutorial videos but i cant crack the code. I spent 4 hours today. There must be a solution since Kyle recommend it though. Only other suggest I have is to download a program called Media Streamclip, it is also free and it is used to convert video from one format to another. Will have play around and do some research to see if it can convert SCC files. Sorry you had so many challenges. I am not at this point yet...have to do much more investigating, etc. Thanks for sharing this information. 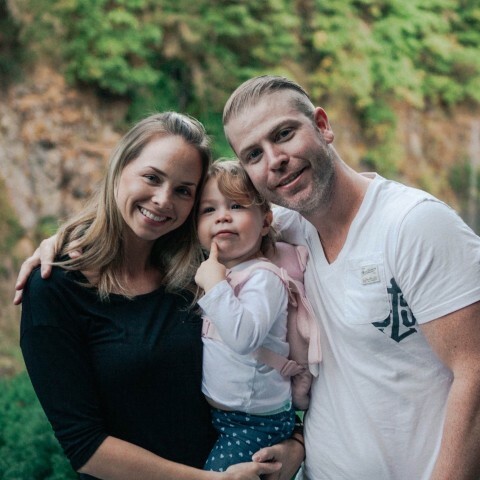 Excellent info Kyle and extremely helpful. Alright... it's video time.. I have used screenr before but I think I want to learn screencast... thanks for the info. Thanks for tutorial Kyle. A definite tool I need to incorporate into my marketing efforts. Thanks Mike! I learned something too. Can iMovie be used to accomplish screen casting?? A great video about the video. I always wondered how this was done. And thought it would be really complicated. It's so simple after watching this video. And of course the teaching is AWESOME as always. Great video, I have to learn how to create a screencast ..
Seen this presentation before, well worth seeing a second time. Still trying to master screen-0-matic will get there with practice. Thanks for sharing the video Kyle. Great to hear, although it might not be something you use every day, it is great to have the ability to create screencasts at will. You will need to export it as a .wav file and then upload that file into YouTube. There is also a function right within Screenflow to export to Vimeo and Youtube but I have found that feature to be a little buggy. I've got a pc so I have been looking into getting screecast-o-matic. The pro version is only $15. Yeah, not a bad investment for having the ability to produce screencasts on demand. I note that you have a still shot of the beginning of a screen cast and have that on the page where you have the textual lesson and the video on its own page such as this one. Just curious if I should follow suit on my campaigns. I ask this silly question because you usually have very good reason why you do anything. Do you keep the text lesson pretty much in the same order and wording as you do in the video? Just wondering if you use a software to provide the text from the recording (as in Dragon) for speed and ease in producing these lessons. I do this manually Daniel. The videos are done in a way that makes the most sense to the audience and my text lessons often times fill in a lot of the blanks. There is nothing to really copy here in that respect, do what makes the most sense with your audience. That is my suggestion. Excellent, you don't have to make it your main part of your content, but if you make it part of your content development, it will allow you to diversify your skillset (a good thing). Kyle, thank you. You have given me the means to create a podcast (and the Mac resource I need) for my 'powerpoints on demand' called pods on my website. Want to keep things simple, easy and fast for everyone 'on the go' who want to build, as we do here, a learning program that will spear them into a field of study with specific goals. I believe I can beat the competition (at least I can dream I can). Seems like I have been working forever on keywords and media to add and link once a few foundation pods are done. Been meaning to ask for one on one help, is that possible? Yeah, one on one help is available to you whenever you need it, just ask. I am here to help, so please do let me know if you have any questions going forward. You ARE the competition if you view yourself this way and you will become the competition. You have all the skills you need to put yourself into this position. Thank you, Kyle, I will very soon. Has been a tense two days with having to send kids home to their families on Monday, as did I, and I just got back home. Many of us here in OK saw up close what everyone owned destroyed by a tornado. Those of us who were to close for comfort, are so thankful, and gave everything we could to help the families in OKC and Moore on Tuesday. There is so much more help these families will need as we all move forward. As soon as this week is done, will take a deep sigh and ask your direction. Sounds good, have a wonderful week! What Microphone would you use (instead of the inbuilt mic) so that the voice appears crystal clear, and does not have too much noise from the background ? You should get a USB plug mic for your PC, and for external recording you better use a voice recorder together with the video recording, also because some of the recordings could be a bit far away and your voice wouldn't be on record. That gives you 2 recordings for Outdoor videos which have to be synced after in a software like VideoPad or Camtasia where you can adjust the audio and video files. Although sometimes I just use the onboard Mic for my videos (if I am transient), you can absolutely get a good USB for fairly cheap through amazon or your local electronics store. Lots of options and lots of reviews out there. Not sure if this is the right place to ask this . What camera do you for making videos (everyone). I use my Laptop camera and the one at my Tablet for outdoor recs. You can get some great quality with fairly cheap recorders, I just don't have those cheap ones available in Brazil. Screencast-O-Matic all the way as you won't find anything better with editing functionalities for a bit over 1 dollar per month. Yeah, it is a great value most definitely! I got Screencast-O-Matic too, paid $15 for a whole year and it's brilliant, high quality and lots of editing like you said. Can't go wrong, newbie safe.